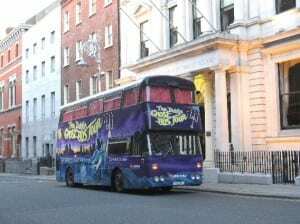 The Dublin Pass is the official sightseeing card for Dublin – flexible, fun and great value giving you free entry to over 30 of Dublin’s top visitor attractions across the region! 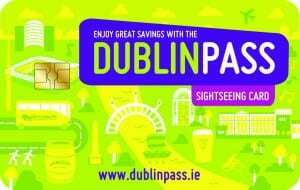 The Dublin Pass is the official sightseeing card for Dublin – giving you free entry to over 30 of Dublin’s top visitor attractions across the region..
Also enjoy special offers and discounts at many of Dublin’s restaurants, tours, shops and entertainment venues. Great value in one small package! We hope that you can find the time during TBEX Dublin to explore the fantastic attractions, activities, services and experiences that the Dublin region offers you. We will be running a couple of special experiences on both days. 11:30am – Private Guinness Connoisseur experience taking you through the different variants of Guinness enjoyed across the world and learning how to appreciate the different flavours. You will also learn how to pour your own perfect pint. There is no other whiskey quite like triple distilled, twice as smooth Jameson Irish Whiskey. Go on this journey which takes you through the remarkable story of Jameson Irish Whiskey as it unfolds before your very eyes. 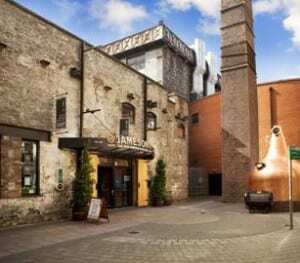 Set in the heart of Ireland’s capital city, right next to the RED Smithfield Luas stop , the Old Jameson Distillery captures the imagination and the spirit of Ireland.! A visit to the Old Jameson Distillery is an unforgettable experience that will transport you back in time to the days when one of Ireland’s greatest entrepreneurs, John Jameson, first made the whiskey that is a legacy today. Tour duration is 1 hour, and commences with a 10 minute audio visual followed by a walking guided tour through the stages of Jameson Irish whiskey making and culminates in the Jameson Discovery Bar with a Jameson signature drink. Tours are conducted in English and language brochures are available on arrival in seven languages . But just ignore the coughing and listen to his tales of a plague-ravaged Dublin. Many were ostracised, but some suffered an end much, much worse. Many believed that the plague was the end of days, but the history of Dublin and its horrors continued. 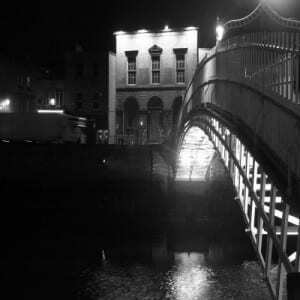 Join your guide as he takes you through the weird and wonderful events that have taken place in times gone by, unearthing legends and ghosts from Dublin’s past. During one magical carefree day, you’ll see why Wicklow is known as ‘The Garden of Ireland‘ Meet your guide, your local Irish friend for the day, Set off down the coast, stop for morning coffee and craft shopping. Visit Sally Gap – lakes, heather and bog lands, have lunch in a traditional Irish pub, visit a monastic settlement and stories to warm your heart. A ‘must see’ on the itinerary of all visitors to Dublin, the Book of Kells is a beautifully illustrated 9th century copy of the four gospels. Marvel at the 18th century Long Room filled with 200,000 of the Library’s oldest books in oak bookcases. Located in the heart of Dublin City, a walk through the cobbled stones of Trinity College Dublin will bring visitors back to the 18th century, when the magnificent Old Library building was constructed. 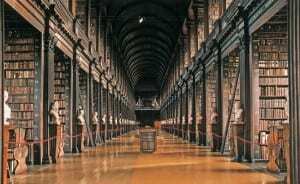 Inside is housed the Book of Kells – a 9th-century gospel manuscript famous throughout the world. DUBLIN BLUE GRASS COLLECTIVE In the Mercantile traditional bar with acoustic set & opportunity to talk with the band. Our boat trip from Malahide will travel around Lambay Island to see the rugged scenery, marine wild life and the crash site of our local ship wreck, RMS Tayleur, which sank in 1854 with the loss of 350 lives. We will try our luck with some mackerel fishing before moving across to Ireland’s Eye and entering Howth Harbour to see it from a different prospective. Dublin City by Night Guided Photography Tour: Sightseeing with a difference! 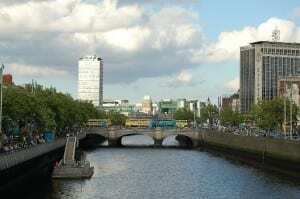 On this tour you will be guided along our infamous River Liffey, to view and photograph some of Dublin’s most iconic landmarks; from contemporary through to period architecture from as far back as the 1800’s. 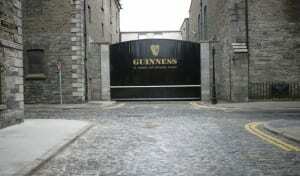 Thinking of taking a walking tour of Dublin? Bringing your camera to take some photos? Well why not combine the two on a Dawn2Dusk Guided Photography Tour by David Cooke. 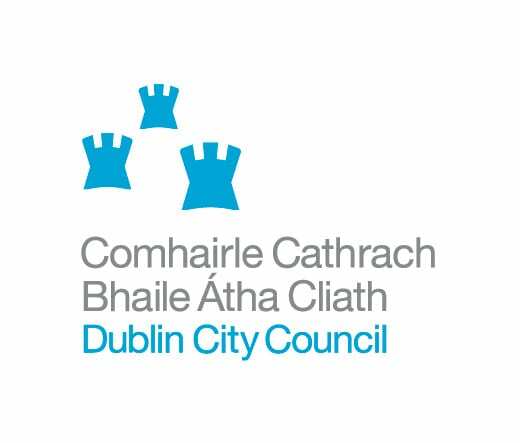 This tour will guide the delegates from Dublin Convention Centre, along the Liffey up to The Four Courts and back, to view and photograph some of Dublin’s most iconic landmarks. You can photograph many notable buildings and bridges, both old and new along the route. Come with us to parts of Dublin that are off the beaten track – places you wouldn’t find yourself – and take photographs that you will be proud to bring home from your trip. The tours are not photography courses, but our local guides will advise and guide you so that you get the best possible photographs of your visit to Ireland. By the end of our tour you will have captured the most memorable photos of Dublin’s Fair City. Comfortable clothing and good walking shoes. Viking Splash Tours is Ireland’s only tour company that shows you the sights of Dublin on both land and water, without having to leave the vehicle! 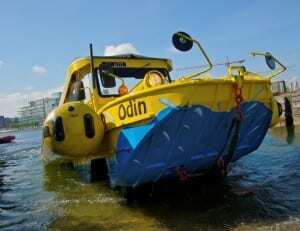 Take a trip with us on our amphibious DUKWS as we bring you on a fun filled tour through the streets of the capital with our Viking captains before splashing down in Grand Canal Dock! Learn about Viking, Medieval and Georgian Dublin; enjoy spectacular views of the Mansion House, Christchurch Cathedral, St Patricks Cathedral to name a few – all while practicing the now legendary Viking Roar on unsuspecting ‘Celts’ as you hurtle through the streets! Pure Magic is more than a business, more than a Kite shop or a school. We are a family which opens our door, our home and our passions to you! Even though it’s quite a stereotype, we actually believe in our Pure Magic Lifestyle. 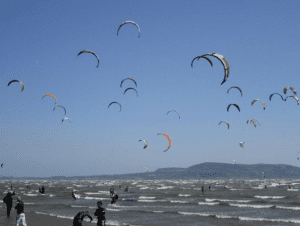 Kitesurfing is a surface water sport combining aspects of wakeboarding, windsurfing, surfing, paragliding, and gymnastics into one sport – so get out there and have an awesome time with our qualified instructors. Popular at coastal areas and resorts, Paddle Standing Up is gaining in popularity as celebrities are sampling the sport and cross-over athletes are training with SUP. This enchanting walk, taking in all the highlights along the historic ‘Golden Kilometre’, travels through broad streets and narrow passageways, often following the line of their ancient predecessors. We will visit or pass the former Houses of Parliament, Trinity College, shopping areas including Grafton Street and Bewley’s (Dublin’s oldest café), Powerscourt Townhouse (an 18th century Georgian Mansion, now part of a shopping centre), City Hall and the Chapel Royal before wandering past the courtyards and the Gardens of Dublin Castle, the Chester Beatty Library, medieval city walls, the Old City & Temple Bar West, Fishamble Street (site of the first performance of Messiah by George Frederick Handel), and Christ Church Cathedral (first founded by the Vikings). Along the way you will encounter mementos of vast archaeological discoveries revealing Dublin’s rich Viking and Medieval past. Meeting point: Take the Red line LUAS from Dublin Convention Centre to the Tallaght Hospital where you disembark. Our walking tours of Dublin Mountains offers a truly unique experience in a fun and relaxed environment, allowing those visiting Dublin an opportunity to see and visit a rural area in an ecologically sound way without having to travel far from Dublin City Centre. The walking tours are led by an authentic guide who is local to the Dublin Mountains where the new walking trails are being developed. 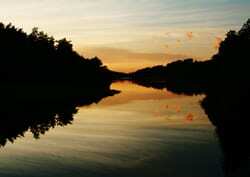 Guests are guided through quiet valleys, mountains, bog lands and lakes which provide an understanding of times past. 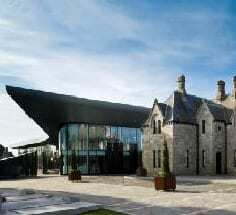 Take the LUAS – (public transport system) from just outside Dublin Convention Centre. Please disembark at the Tallaght Hospital LUAS stop. From there it will take about 5 – 10 mins to get into the heart of the countryside. We will drive you up the small winding roads in the Dublin mountains, which is a farming area so there are lots of small farms and small houses dotted around the valley. Depending on the weather we can take you to via the bog lands and down to the forest with trails up into the hills with gorgeous views over Dublin Bay, Dublin City from Howth down to Wicklow. 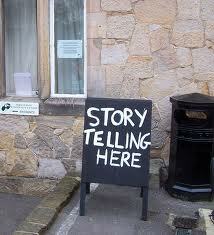 Our guide is local and will relay tales and sagas from the past to give you an insight into our culture and ways. We can stop for an hour in the famous Johnnie Foxes Pub in the Dublin mountains for a song and a drink or for really nice food (cost of food & drink not included in tour package). 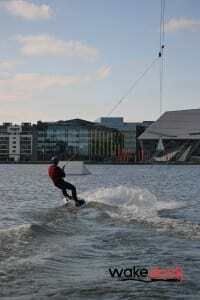 Learn to Wakeboard in Dublin’s Docklands! Name: Learn to wakeboard at Ireland’s first cable wakeboard park in the heart of the Dublin Docklands area. Cable wakeboarding is an increasingly popular sport that is already well established internationally with more than 400 cable parks around the world. Ireland’s first and only cable wakeboard park is now open in the Grand Canal Dock. Located in the heart of the Dublin Docklands area, Wakedock offers cable wakeboarding for both beginners and more advanced riders. The System 2.0 is ideal to learn wakeboarding for beginners and our kicker and slider guarantee tons of fun for more advanced riders. Only one wakeboarder uses the cable at any time, which means that every session is a 1:1 with our qualified wakeboard instructors who are operating the cable. The speed can be adjusted to the riders abilities and after a fall, the cable is stopped and the handle brought back to the rider – there is no need to swim to the quayside or back to the start pontoon. Essentially, the wakeboard cable replaces the boat and pulls the rider along a course. The System 2.0 that is installed in the Grand Canal Dock has two towers and one rider uses the cable on their own and can continuously ride along the course between the two towers. Because there is only one person on the cable, it means that if they fall, the operator can drive the handle back to them and they can get up again right there. There is no need to swim to the quayside or back to the start platform. That means the rider gets maximum ride time on the cable! The System 2.0 is perfect for beginners to learn wakeboarding and ideal for more advanced riders to practice their tricks and hit the obstacles. Come and join The Gravedigger Ghost Tour! on Dublin’s most unique 4D Bus! The stories begin with Trinity College where your guide will transport you back some 600 years ago to when the old Augustinian Priory and of course the plague house were there. The latter of which the guide is all too familiar with… But just ignore the coughing and listen to his tales of a plague-ravaged Dublin. Hear an account of plague victims trying to soothe their wounds in the waters of the city’s drinking supplies. Learn about the Mayor’s schemes to try and keep the disease at bay. And discover the fates of all those poor souls who found themselves infected with the disease. Many were ostracized, but some suffered an end much, much worse. Many believed that the plague was the end of days, but the history of Dublin and its horrors continued. Join the guide as he takes you through the weird and wonderful events that have taken place in times gone by, unearthing legends and ghosts from Dublin’s past. Embrace the grand finale on Body Snatching by our actors, then return to College Green (same return point as pickup)! 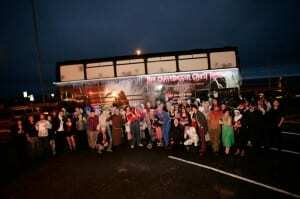 Steady your nerves with a free ghoulish drink at the Gravediggers Pub during the tour. 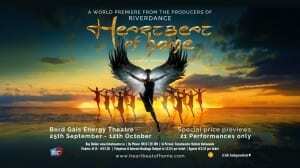 Join us on a magical journey through Ireland’s past. A rich history that is so inextricably linked with its mythology. Listen to stories of a time gone by when Pookas, fairies and giants roamed this land. Hear tales of how the Vikings were outsmarted by three Leprechauns, of epic battles and dangerous quests, of magic spells and true love. Visit the spot where Irish mermen are said to appear and who knows what you might see! Travel to the site of Irelands greatest battle and hear,first hand, how one of our greatest kings was killed in these beautiful surroundings. Visit the peninsula of Beann Eadair. As we look out to the beautiful east on this magical setting, you can see the small lighthouse on what is known as Howth Head. It was on this peninsula that many centuries ago the High King of Ireland, Conn of the Hundred Battles, used to spend many an evening strolling along its beaches. You see despite his wealth, power, his prowess in Battle, and the great prosperity and peace he had brought to Ireland, he had been unable to defeat the greatest enemy of all though – death! Learn about the spell of Becúma as you re-board our bus, and let us take you back to the land of Morgan the Giant as you enjoy an on-board drink supplied by us. We also visit Clontarf – the site of one of Ireland’s biggest, (and arguably the most important) battle. The Battle Of Clontarf signalled the end of Viking rule in Ireland but was also where one of Ireland’s most famous kings, Brian Boru, was killed. And don’t forget about Fionn MacCumahail – the leader of the Fianna, a band of warriors who served the High King of Ireland. They were famed for their prowess in battle which was only matched by their good deeds. The bus tour finishes at The Church Bar On Mary Street – the site where Arthur Guinness was married, and where the composer Handel practised his famous ‘Messiah’ before it’s first performance in Fishamble street, which is just across the river! But Before we lead you inside, we have one more very special, traditional song we would like to sing for you! Enjoy a Private Cocktail-Making class and canapes with the Gibson’s Hotel’s expert Mixologists in the Hemi DemiSemiQuaver Bar. Chic, understated and right in the heart of Dublin’s brand new cultural hub, the Gibson Hotel is alive with the buzz of great people. It takes inspiration from its central location and it has become the ultimate urban retreat due to its unique design and the focus on comfort for its guests. The Hemidemisemiquaver Bar is the perfect location to relax and enjoy a cocktail looking out on some great views of Dublin from the 3rd floor of the hotel. We have two unique tours and they all take place on Segways. Our Docklands tour covers an area of 5.5km on both the north and south side of the city. We take in the home of U2 in the city and also pass the front doors of some of the world’s leading IT companies. The Segway Personal Transporter (PT) is the first of its kind, a self-balancing personal transportation designed to go anywhere you go. 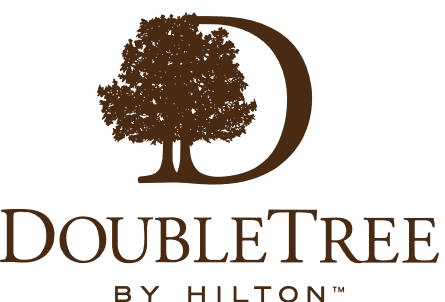 See all the local attractions while enjoying a completely new experience. Try one today and you too will discover the Segway smile! Pick-up Points and Locations: 09:20 – The Gresham Hotel O’Connell St or 09:35am Tourist Office, Suffolk St. 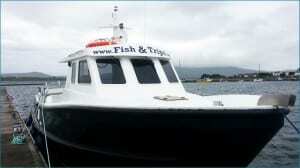 This a full day tour of Wicklow with a real difference. You will have the option from this tour to enjoy a 2 hr Guided walk, Horse ride or Cycle in the Wicklow hills and of course if you are not feeling that active you can just relax and enjoy the Powerscourt Gardens, The choice is yours. 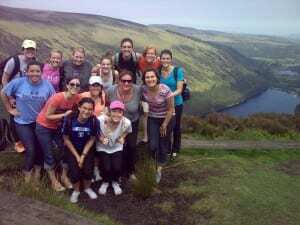 On this tour you will visit all the highlights of Wicklow i.e. 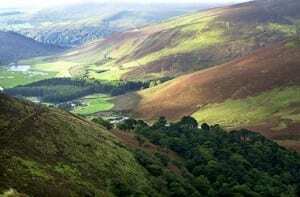 Enniskerry, Glencree, Sally Gap, Wicklow Mountains National Park, Luggala and Lough Tay, Film location of “P.S. I Love” and “Brave Heart”, Guinness Estate and Glendalough with a great guide to keep you informed and entertained along the way. Discover the people who helped shape the Ireland of today. You can do this in many ways; through tours of the cemetery, a visit to the museum or through a genealogy search for your family history. Glasnevin Cemetery Museum offers a fascinating view of Ireland’s Necropolis and the many renowned figures that shaped the country we live in today. Exhibitions include City of The Dead, O’Connell and the Milestone Timeline. Glasnevin is a beautifully restored Victorian cemetery, founded by Daniel O’Connell in 1832, located beside the Botanic Gardens and linked via an adjoining gateway. Many leading historical and political figures are buried here (Michael Collins, Charles Stewart Parnell) as are other famous people from literary and musical walks of life (Brendan Behan, Luke Kelly). Highly knowledgeable and entertaining tour guides will enlighten you by telling the stories of the 1.5 million people buried here. Enter Daniel O’Connell’s crypt, beneath the round tower created in his memory; visit the museum, research your genealogy, have lunch in the Tower Café – there lots to do. This is a multi-award winning property. National Gallery Tour: Most people would love to know a little more about art and many visit galleries while on holidays. This tour is an introduction to the world of art using a unique chronological order and style to chart the development of art up to and including modern art – effectively a ‘crash course’ in the history of art. At the end of a light, entertaining and interactive morning you gain a new insight into art and develop the skills to identify for yourself what you like and why! Better still, you leave with the confidence and a framework of knowledge that will set you up to enjoy future art viewing in any gallery in the world. Curator Rayne Booth will give a tour of the Temple Bar Gallery + Studios building, explaining the history of this arts landmark in Dublin city and its significance to the development of Temple Bar as a Cultural Quarter. Attendees will then be taken to visit two artist’s studios, meet the artists and learn about their work first hand. Temple Bar Gallery + Studios is home to 30 of Irelands most exciting contemporary artists studios, which are private workspaces and only accessible to the public via TBG+S open studio events and tours. Temple Bar Gallery + Studios (TBG+S) is a gallery and artists’ studios complex located in the heart of Dublin and the Temple Bar cultural quarter. It is one of the first DIY artist initiatives in Ireland started by a group of artists and administrators in 1983. In the 1980’s, TBG+S was instrumental in establishing Temple Bar’s reputation as a place for cultural activities in Dublin and led to its regeneration as Dublin’s Cultural Quarter in the early 1990’s. 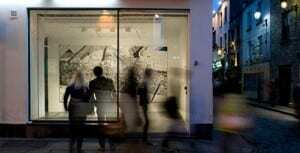 At Temple Bar Gallery + Studios (TBG+S), we place the artist at the heart of everything we do. 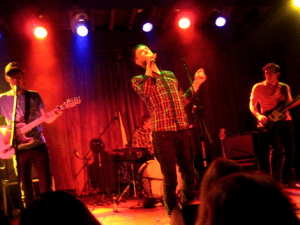 TBG+S works to support professional visual artists and to connect, as many people, as possible, with the engaging dynamic of art. We do this by providing affordable studio space to over 40 artists annually and through our vibrant programme of exhibitions and events. The building is home to 30 artists’ studios that provide artists with a warm and spacious working environment and allows them to be located within a creative community in the city. 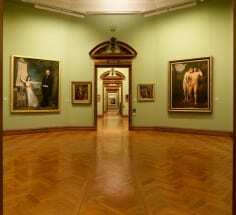 The gallery features art work by the most compelling Irish and International artists. 2013 marks the 30 year anniversary of TBG+S. This year, it will deliver an ambitious programme under multiple interpretations of the theme Generation, meaning both a period of 30 years and the act of creativity. At TBG+S, all of our programmes are free and accessible to everyone with a curiosity about visual art. The Talks + Events series includes studio and gallery tours, lectures, critical discussions and film screenings for audiences. Our 2013 Education programme will work with young people, families and schools in Dublin city. In just 2 hours this award-winning & entertaining ‘seminar on the street’ combines a walking tour of Dublin city centre’s main sites (inc. Trinity College, the old Parliament’s House of Lords [now the Bank of Ireland], City Hall, Dublin Castle, Christ Church Cathedral, the Four Courts, Temple Bar) with an exploration of the main features of Irish history—Dublin’s development, the influence of the American & French Revolutions, the Potato Famine 1845-49, the 1916 Rising, the War of Independence & Civil War, the Northern Ireland Troubles & the rise & fall of the ‘Celtic Tiger’. 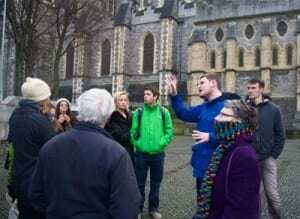 All our guides are history postgraduates. But don’t let this put you off! They’re also excellent performers & communicators. We are Dublin’s longest established tour guide business (1986). Enjoy a magnificent -7km mountain bike trail with breath-taking climbs and rewarding single track trails. Amazing views over Dublin City and Bay. 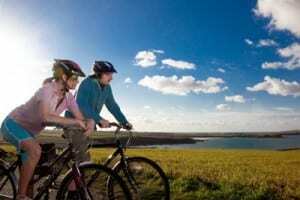 Each tour is tailored specifically to either novice or experienced cyclists alike, at an enjoyable pace that suits you. With our local knowledge of the beautiful Dublin and Wicklow mountains, we invite you to join us and experience the wonders of cycling alongside a combination of beautiful mountains, lakes, coastal views and agricultural land, where you might even get an opportunity to meet some of the locals!